What do you do when a woman confides in you that she’s pregnant but doesn’t want the baby? It could be any combination of 50 reasons—her boyfriend is threatening to leave her, she can’t afford to raise a child, it will interfere with her career, this wasn’t the time in her life when she had planned for a child, whatever—but the fact is she is confiding in you before she seeks an abortion because she wants to know what you think. That is your moment to speak not only for the unborn child within her but for God himself. While you feel compassion for the terrible tension in her life situation, it is even more important to pay attention to God’s point of view. God thinks that it is he who creates all human life; that a child is a person already in the womb; and that each child, born and unborn, is a masterpiece of his design and biomedical engineering. “You created my inmost being; you knit me together in my mother’s womb. . . . When I was woven together in the depths of the earth, your eyes saw my unformed body” (Psalm 139:13-16). Explore non-abortive options and talk them through with her. Identify pro-life counseling opportunities and go along. Pray for her and with her. Above all, claim God’s promise that when we do what is right, he will send the resources. Get straight answers to your toughest questions! Pastor Mark Jeske wants to give you biblical answers to your tough questions by sending you More Straight Talk—a follow-up to his popular book, Straight Talk. In it you’ll find over 150 new questions and answers based on the timeless truths of God’s Word. More Straight Talk is our thank-you for your donation this month to help share the love and freedom that Jesus brings with people all over the world. Please request yours when you give. Thank you! 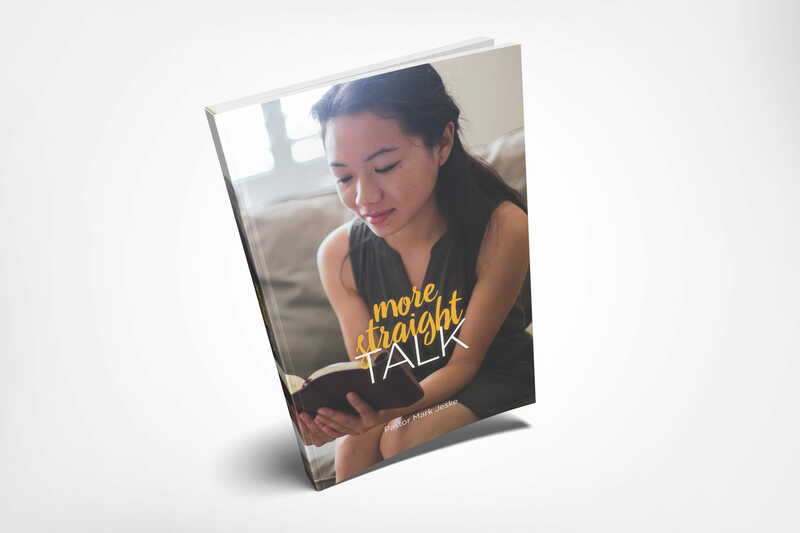 Request your copy of More Straight Talk when you donate to help share the timeless truths of God’s Word with more people!